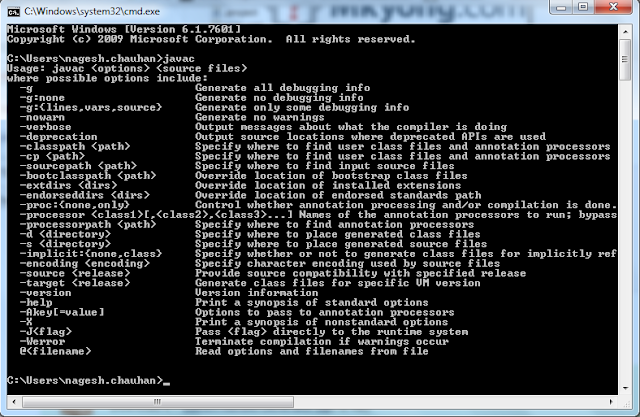 To make sure you have a correctly configured Maven package supply following command. 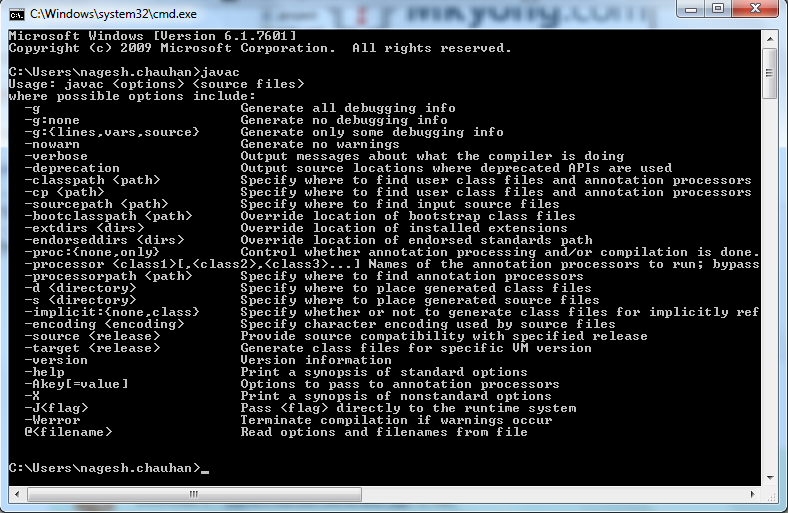 To create a java project in maven open your command prompt and navigate to the folder where you want to create the project. Now supply following command. 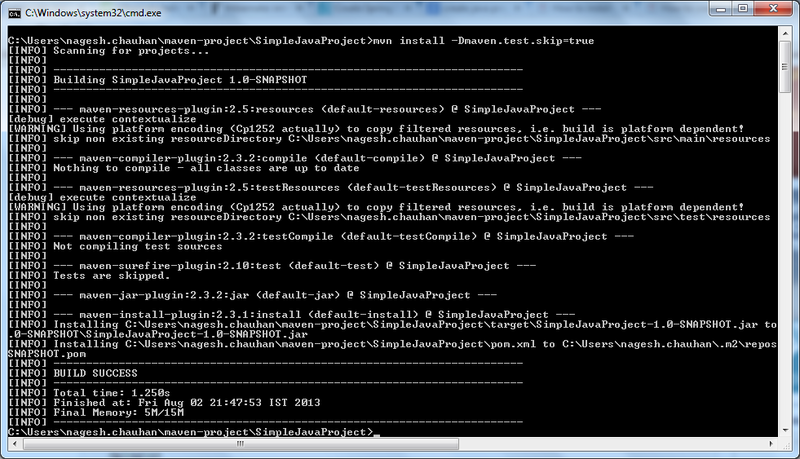 You will see a screen creating Maven a specified Java Project for you. 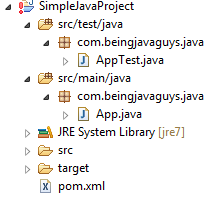 Here we are done with creating a Java Project in Maven, now lets make it working with eclipse IDE. Now to convert this maven-java project to work with Eclipse IDE navigate to the parent directory of your project and supply following command. Now lets see how to create a jar from java-maven project, update your pom.xml a little bit to make it package your java application. 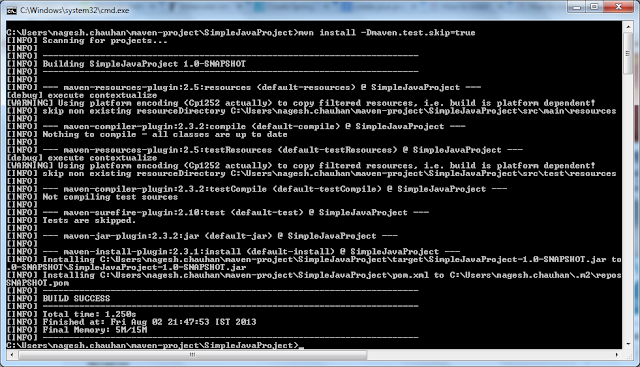 Now navigate to your project parent directory and supply following command. We have skipped all junit classes from packaging because those are not configured yet. You will get following output screen showing packaging process. Now go to your Eclipse IDE and expand target folder, you will get your generated jar file there as shown in following figure. In this particular blog we came across ?How to create a Java Project in Maven?, ?Import maven java project in eclipse ?. and ?create a jar from java maven project?. In upcoming blogs we will see more about 'Maven', 'Spring', 'Java' and other opensource technologies.